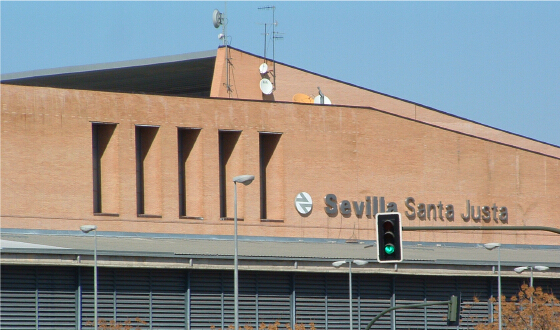 Our team has participated in the design and construction of the main high speed stations in Spain. For the last two decades Spanish High Speed Rail network, as the most extensive and modern system in existence, has set a benchmark for the world. 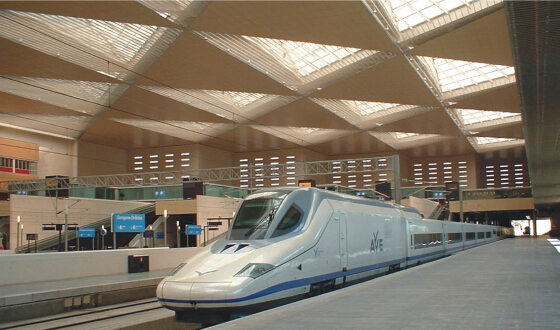 Ineco has been instrumental in the design and construction of the network of high speed train stations specially built to match the technology and the magnificence of the most modern advanced trains in the world. 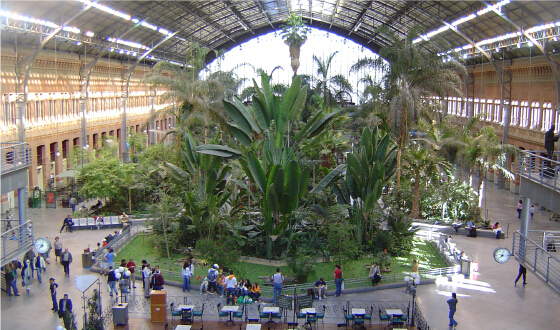 Atocha is the first railway station to have separate arrival and departure areas like airports. Ineco was involved in the construction of the new AVE arrivals terminal. The company contributed with its engineering work, to the first phase of the Atocha station expansion project, serving the Madrid-Albacete-Valencia line. The Ineco team worked on development and construction of the line and of the line extension, during which it was responsible for project design and site management. 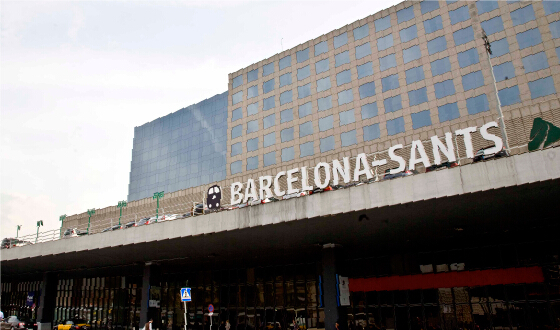 Ineco was involved in the refurbishment of the Sants Station to equip it for arrival of the high speed train line in Barcelona. It took advantage of these works to adapt the existing rail track to the UIC width, to be used by the AVE, providing Sants with a new track, and bringing the current total of tracks to 14. This brand new station was built and designed to ensure that travellers can access the train in the shortest possible time. Thus, a car park was built under the concourse area with direct access to the platforms by means of a walkway on a level with the front of the train. Ineco worked on the construction of the station, 19 km from the town of Antequera. The station is unusual in that the tracks are at a higher level than the concourse area and the access points, and consequently the platforms are accessed through a lower walkway. The most striking feature of the station is its roof, displaying the AVE logo. When designing the station, Ineco took into account the intense heat in the area in order to keep air conditioning costs to a minimum, without sacrificing comfort or light. The vanguard design of the station has made it an emblematic building. Ineco acted in a consultancy role and provided assistance to the project management in the refurbishment of the station, as well as modifying the station’s track routes in order to accommodate the new line. Ineco’s team of professionals was responsible for the project management of the refurbishment works of this station in addition to coordinating health and safety during the work. 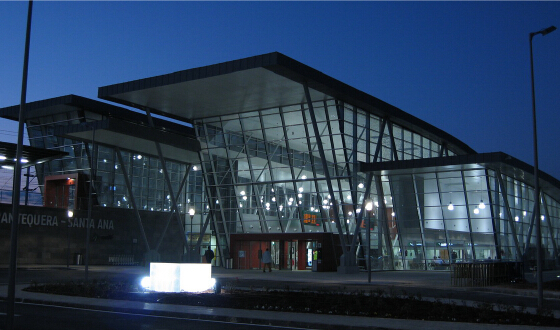 Ineco also collaborated on projects for other high speed railway stations such as Zaragoza-Delicias, for which it drafted the plan for redevelopment of the surrounding area and other works required to adapt the station to the AVE. The company also provided support in ancillary construction works for the future Villena station, and has collaborated on homogenising the architectural components of all the stations in the Atlantic Corridor.